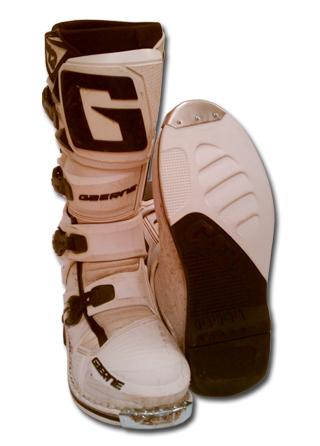 Got a pair of Thor, Fox, Alpinestars, Gaerne, O'Neal, Hi-Point, or other motocross boots that are still in great shape but the soles are worn out? We can put new soles on them! For $99 plus shipping, we will put on new Gaerne SG10 soles and toe caps, just like you see in the photos above. Guaranteed work and quick turnaround. We can do all boots that have a welt sole, this is a boot that has stitching around the top side of the sole like all the boots you see in the photos. WE DON'T DO MOLDED SOLES like Tech 10 or Fox Instinct. If you are not sure if your boots have welt soles, give us a call. 1. WASH YOUR BOOTS! If your boots are too dirty to work on, we will have to charge you $20 to have them washed and it will add at least a day to the time we have them here. If your boots have inner booties, like Tech 8's, remove these. 2. Print out PDF form below, fill it out, and put it inside one of the boots. DON'T FORGET THIS PART! If you are in a time crunch, be sure to call first to get a time estimate. We will typically have your boots 3-4 business days once we receive them. Plan ahead, you're probably going to be without your boots for at least one weekend because of the shipping time involved in both directions. Next Day and 2-day shipping is crazy expensive on a box this size so it would be best to pick a week when you know you're not riding or have some backup boots lined up during this time. 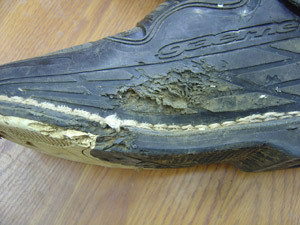 Even if your boot looks like this, we can fix it!! WHAT IS IT? 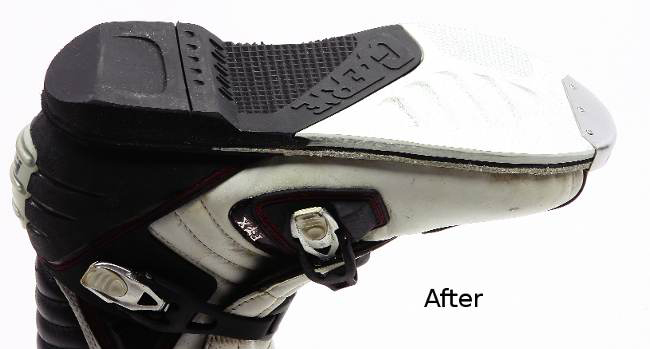 A fountain of youth for motocross boots in the form of Pro Boot’s resoling and repair service. WHAT’S IT COST? $99.00, plus shipping. WHAT STANDS OUT? Here’s a list of things that stand out with Pro Boot’s resole and repair. (1) Application. Pro Boot can only resole stitched (welted) sole boots. Bonded soles and molded sole-boot wearers are out of luck with Pro Boot. 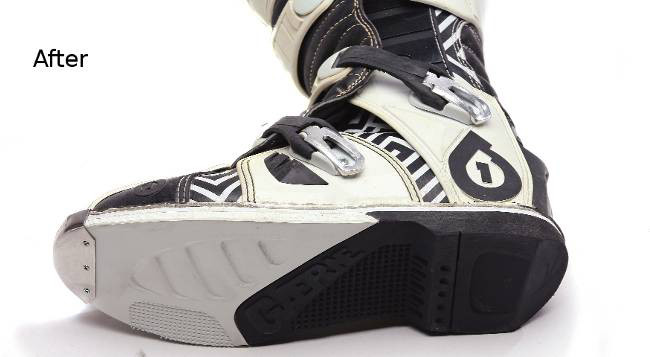 We sent Pro Boot beat-up SixSixone Flight and Fox F3 boots. 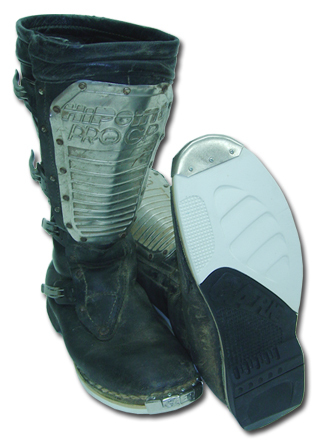 Call Pro Boot beforehand to be certain your boots can be resoled. (2) Boot chassis. To get the best value from a resole, the boot chassis must hold up for the lifespan of the soles. Take note of the condition of the parts on your boots. 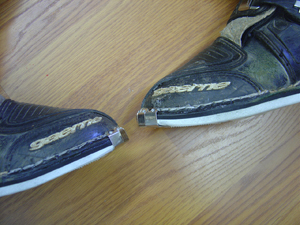 The buckles, insoles and toe caps can usually be replaced. Plus, Pro Boot can do a lot of minor leather repair. 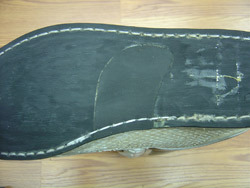 Overall degradation of the body of the boot, however, can’t be fixed. Pay attention to how much support the boot offers, because if the upper is worn out, there is no fix for that. Before shipping your boots, take note of the condition of all the boot’s materials. It’s not worth the money to resole and repair a low-quality boot. (3) Cobbler. You might be asking, “Why should I waste time and money shipping my boots across the country when I can just drop them off at the local cobbler?” In MXA’s pursuit to inform our readers about the best deals possible, we did just that. 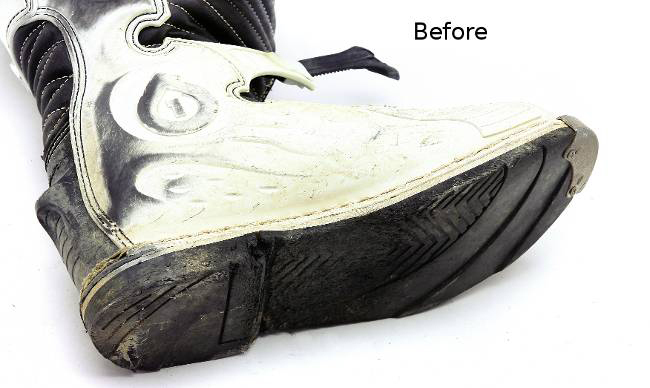 Resoling a motocross boot is trickier than resoling your average loafers, and it takes a skilled cobbler to do a proper job. Local cobblers can be a gamble. We did take a set of Gaerne SG10s to a local shoe-repair shop to check the service. 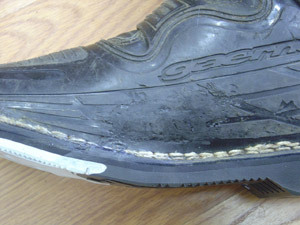 We spent $100, plus $30 for Gaerne soles, and got two rides out of our resoled SG10s before they started delaminating. Pro Boot guarantees their work. If a sole were to delaminate, they would resole it for free. (4) Gaerne. The ideal sole must be durable, but still grip the footpeg well. 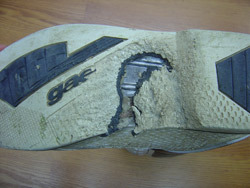 Pro Boot made a good decision to use Gaerne soles on all the boots they repair (regardless of the brand of the boot). 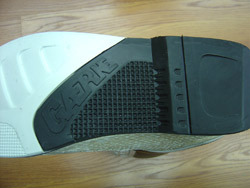 A set of replacement soles from Gaerne costs $30. Pro Boot specializes in Gaernes. They carry a lot of Gaerne replacement parts and can do a full-service job on your SG10s or SG12s. (5) Repairs. Pro Boot can do boot repairs beyond just the sole, including stitching and gluing. 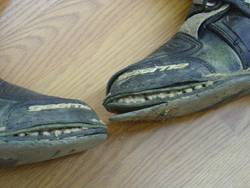 If a boot is chewed through to the mid-sole, don’t give up; Pro Boot can fill it in and resole the boot. If plastic is pulled away from the leather boot at the ankle where it flexes, it can be glued back in place. If buckle straps are torn, they can be restitched. Pro Boot does minor mid-sole fill-ins and gluing for free as a courtesy. More time-consuming repairs require an additional charge once Pro Boot takes a look. Typical repairs might cost $25. WHAT’S THE SQUAWK? Our only complaint wasn’t with Pro Boot but with shipping, which took four or five business days each way. Even though Pro Boot executed a next-day turnaround with our boots, we didn’t get them in time to race on the weekend. Plan the resole at a time when you won’t ride for two weekends. You could second-day air ship your boots, but the total cost on a repair should not exceed the cost of new boots. Our Pro Boot-repaired boots held up well. Pro Boot’s resole is a smart option for a frugal racer, or a racer who loves the broken-in feel of his old boots and doesn’t want to start over again with new boots.